Stay tuned for upcoming events for L2N Food Festival in near future. L2N Food Festival will take place on 14th and 15th April 2018 at Expo Centre in Lahore. This event is being organized by L2N (Lead 2 Need). L2N Food Festival with Music Concert will provide a good opportunity for brands to interact with customers. 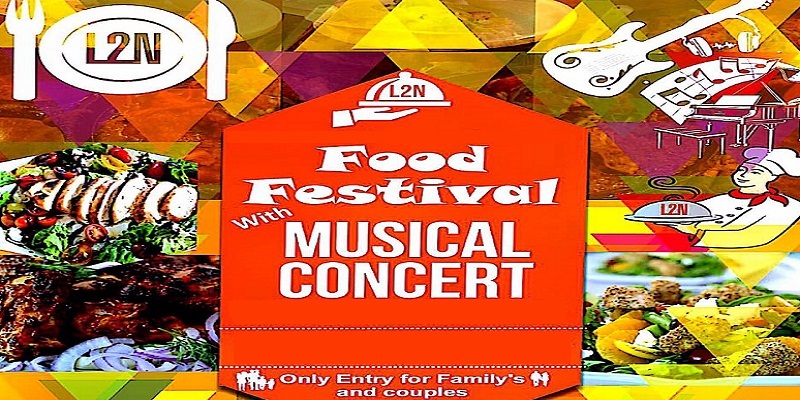 L2N Food Festival & Music Concert will be a great source of entertainment for families. Taste the delicious food along with melodious performances of well known singers. People in Lahore participate and enjoy the awesome extravaganza event. Best Viewed at 1024 x 768 pixels and above. This Page loaded in 0.06768 seconds on Tue, Apr 23, 2019 (21:27).